Pakistan Prime Minister Nawaz Sharif has said Islamabad and New Delhi should maintain friendly and good relations, media reported on Friday. 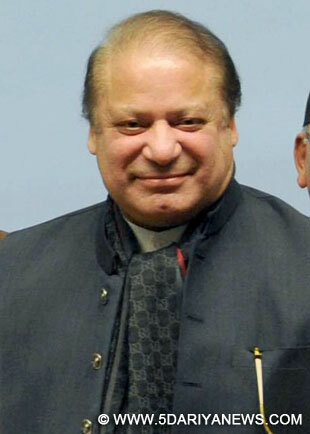 "We Pakistan and India should maintain good relations and avoid involving in conspiracies against each other," Dawn news quoted Sharif as saying.peaking to media during his Turkey visit, he said his party did not adopt a policy of "India bashing".He also expressed gratitude to Turkey "for its support on the Kashmir issue and also for its stance on Pakistan's inclusion in the Nuclear Suppliers Group", the report added.On the recent incidents of terrorism in Pakistan, Sharif blamed "elements" upset with the "progress of Pakistan" and expressed his government's resolve to eliminate terrorism at all costs. "With our firm resolve, we will defeat those who are not digesting Pakistan's success on different fronts," he was quoted as saying.Sharif also said Afghanistan's soil was being used against Pakistan, adding that he was in favour of stability in that country as it also in Pakistan's own interest.